When the South Belize District of the Church of the Nazarene decided to build a new caretaker's house, Caribbean Resource Ministries was asked to help with the project. The District has allowed CRM to use their Training Center where the house is being built for its seminars since the late 80's. It seemed only reasonable that we should give back by donating the roof. In March, Neel Ferrell and Keith Megehee accompanied CRM director, Wayne Sellers, on a mission to construct the roof. They were joined by men from the District, and the roof project was completed in just over five days. Donations for doors, windows, plastering and inside walls are being collected by CRM. Your gifts may be sent to CRM at P.O. Box 51, Brandon, MS 39043. 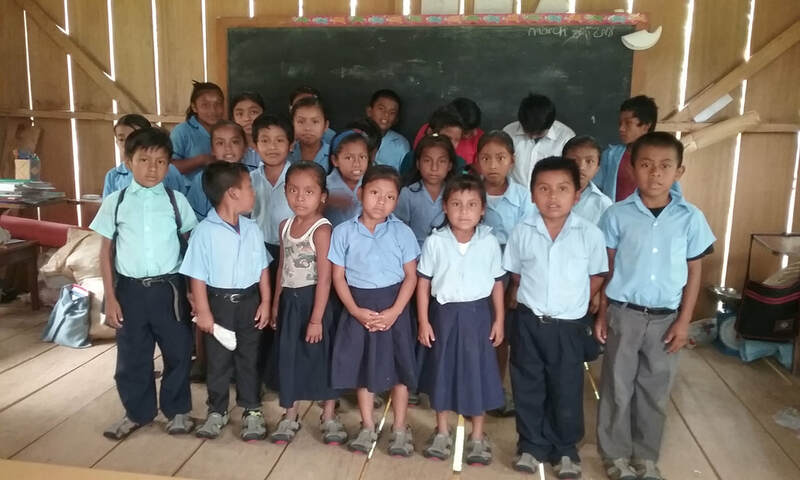 Dr. Matt Friedeman along with a small CRM support team made a teaching tour of Belize in March. He presented nightly seminars on bi-vocational ministry and made copies of his new book available to the pastors who attended. One of the members of the support team, Henry Greer, was making his 100th mission trip. The team celebrated this remarkable milestone at a special dinner in his honor at a resort on Ambergris Caye. Bill Durr was the presenter for the June, 2018 Seminar Tour. He used the "story" of the Old Testament to bring to light the completeness of God's great plan of salvation. Pastors and laymen alike expressed their gratitude for the insights they received through Bill's presentation of "The Story Changes Everything." 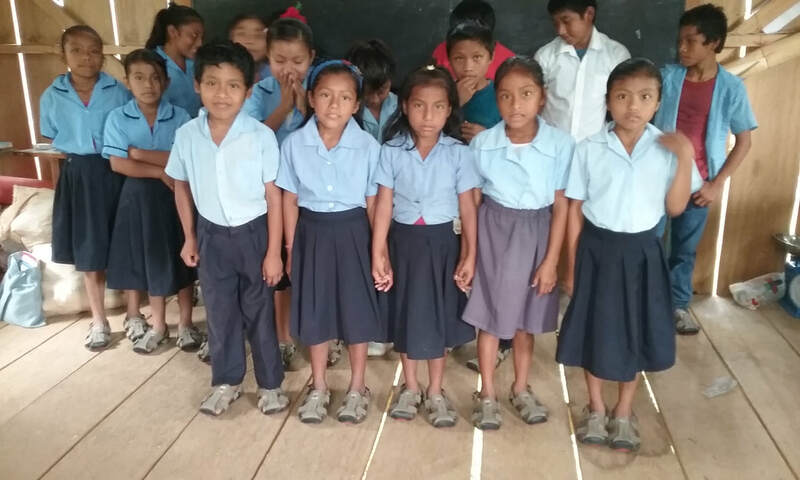 Arci Cal, the principle teacher at the Graham Creek Government School, heard that his church district was needing a motorcycle for one of its pastors who had taken a church in a remote area. He began to recall the many ways God had blessed him and his family. Without consideration of just how he would make his weekly trek to work, Arci donated his motorcycle to the district for the pastor's use. For months, he got to the school where he teachers by bus and hitch-hiking. In order to make the trip, it's necessary for him to travel the two and a half hours by road and then walk through the jungle for another two and a half hours each Monday, and return home the same way on Friday. People from the Newton First Methodist Protestant Church and Dayspring Community Church heard about Arci's sacrificial gift. Without solicitation the two churches raised enough money to purchase a new motorcycle for him. They contacted the director of Caribbean Resource Ministries to make the purchase for them. Arci is very grateful for the gift and the love of God's people which made it possible. 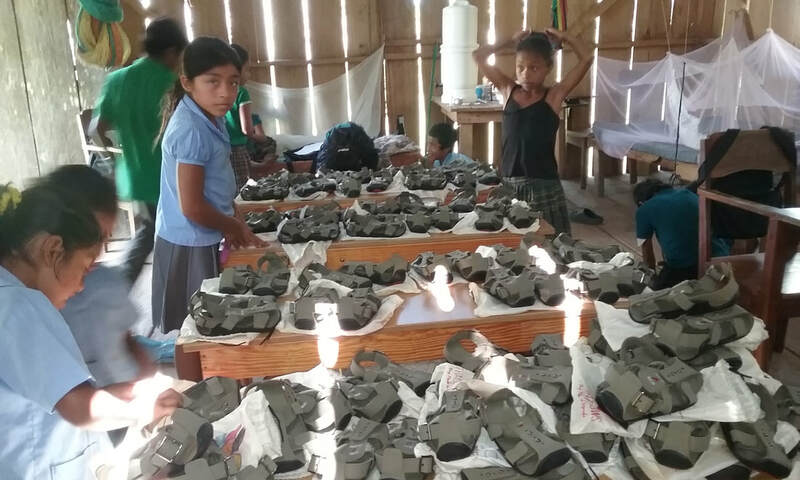 The last week of June, 2018 Forest United Methodist Church made its second mission to San Miguel, a Mayan village in southern Belize. The church "adopted" the village in 2017 with plans to help with anything needed. On their first mission one of the school buildings was painted, repairs were done to the health post and the team conducted a vacation Bible school. Later, they sent money to remove the asbestos from another building on campus. On this trip, the team painted another school building, installed florescent lighting in some of the classrooms and conducted men's and women's Bible studies as well as a VBS. The team was honored with a special lunch by the Parent-Teacher's Organization in appreciation for their investment in the school. 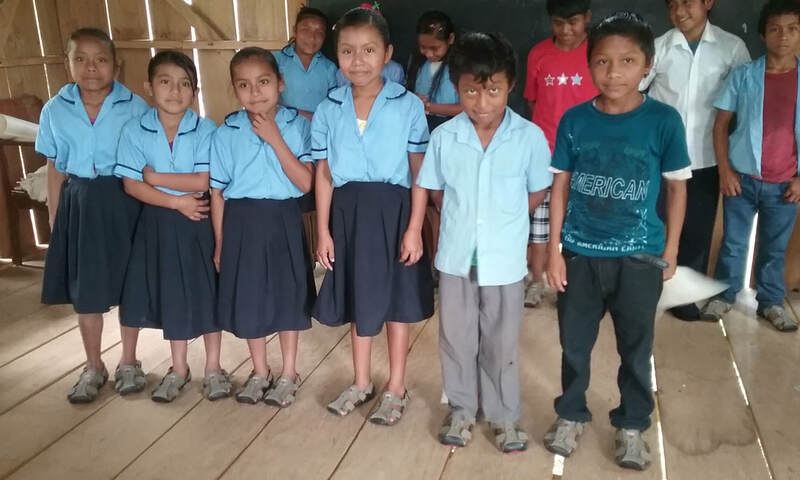 The Forest Church has made a five-year commitment to San Miguel Village, and plans are being made for their third visit next summer. CRM has identified several other needs in Belize. If your church or organization would like to take on a project, please contact us. April 22-28, 2018 Caribbean Resource Ministries partnered with missionary Bob Farley and the Belize Ministry of Rural Development to drill a water well in the Mayan village of Graham Creek. The village is in the most remote area of Belize near the Guatemalan border and has no road access. The small drilling rig had to be disassembled and transported from Punta Gorda Town by boat down the Caribbean Sea to the Sarstoon River which separates Belize from Guatemala. After several miles on the Sarstoon the boat reached Graham Creek, a much smaller body of water. Navigation on Graham Creek was hazardous and slow with submerged logs and other obstacles just inches under the dark and stagnant water. The boat was met by the men of the village who were there to transport the rig parts through the marsh via dugout dories to dry land. From there the rig parts were carried by the men and on horseback for the last half hour walk through jungle trails to the village. It took the rest of the day to assemble the rig and prepare everything for the drilling process. Drilling began the next morning, and continued for the next five days. The village now has an 85 foot well that is producing sufficient water for the entire village. The pump is scheduled to be installed by the Ministry of Rural Development; and, then, the Department of Health will disinfect the existing water system. The last item will be to test the water for human consumption. Hopefully, the system will be ready for use in a matter of days. Life is difficult in this isolated area, so please pray for this village of subsistent farmers and their families. ​The Shoe That Grows was the result of Kenton Lee's compassion after seeing a little girl in Nairobi, Kenya who was wearing a pair of shoes that she had obviously outgrown. After soliciting the help of some of his innovative friends, they came up with a well-made and long-lasting shoe that could “grow” five sizes as the child grows. 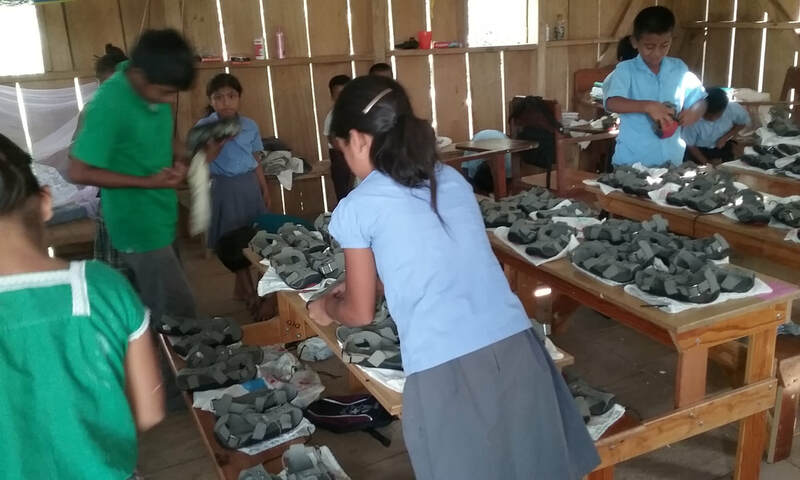 Since 2014, the shoes have been distributed by volunteers through donations. Kenton’s team is working on other innovations to help people in underdeveloped areas of the world. 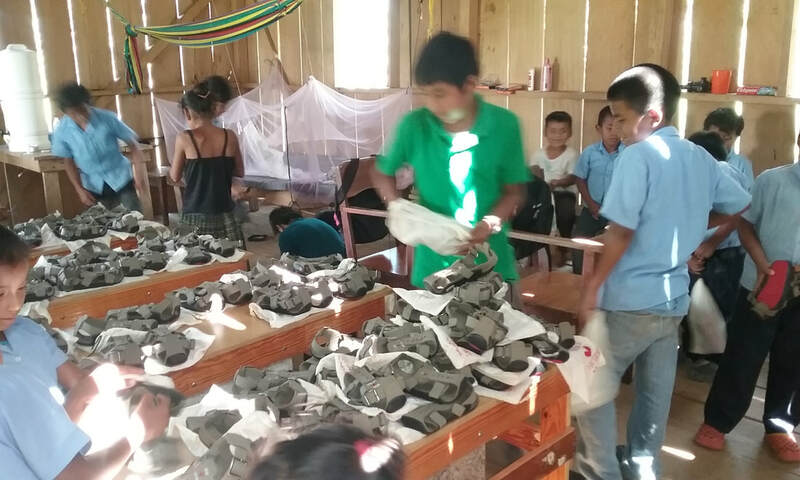 One of our recent CRM team members, Henry Greer, was asked to take 100 pairs of the Shoe That Grows to Belize. They were distributed to some very appreciative children. For missions and contact information click on tabs above.